The "Baal Shem Tov" or Cathedral wooden synagogue in Piatra Neamt, Romania, will be rededicated Dec. 14 after restoration. Legend has it that the Ba'al Shem Tov, the founder of Hassidism, prayed here -- that is, on an earlier, masonry synagogue that stood on the spot, as the wooden synagogue was built, according to documentation, in 1766, and the Ba'al Shem Tov died in 1760. The present building is halfway underground, probably built like this to conform to regulations that forbade synagogues from being higher than surrounding Christian buildings. The sanctuary is entered down stairs leading from a little outer prayer room, where regular services are held. Chandeliers hang from the ribbed wooden dome arching over the dull, browny-green walls decorated by pale stenciled flowers. Carved and gilded lions, griffins, bunches of grapes and other decorations ornament the compact but elaborate Aron ha Kodesh, built in 1835 by one Saraga Yitzhak ben Moshe. Sam Gruber has posted further information and comment on his blog. The wooden synagogue stands next door to the masonry Great (or Leipziger) synagogue, which was originally built in 1839. It is very similar to other folk-style Moldavian synagogues, with a small, raised bimah with a trellised frame situated in the middle of the sanctuary in front of a highly elaborate Aron ha Kodesh with tromp l'oeil draperies. The walls are decorated with bright frescoes representing Holy Land themes, and frescoes of biblical animals -- the stag, the lion, the tiger and the eagle -- are painted on the ceiling. we are searching for any records of my father Cantor Yehoshua Dlin who had a posting in a synagogue in Bucharest before tthe war. He left Bucharest i 1938. 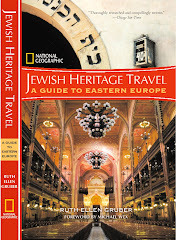 We were there earlier in 2014 on a Jewish tour of Romania with Compass Travel Romania and the visit here was one of the best. Not only the two synagogues are so beautiful but the insights of the local curator were so interesting. 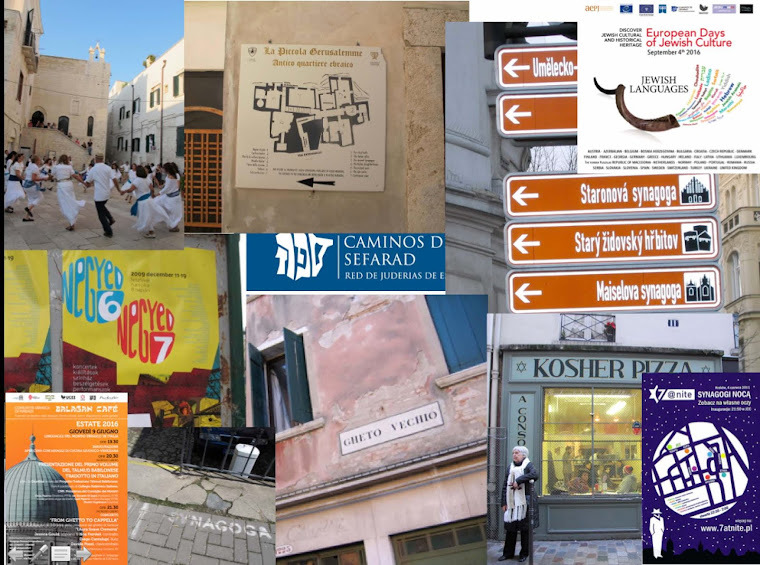 The entire tour was designed to bring the Jewish communities closer to the traveler. I am searching for any records of my grandfather who, with two other brothers emigrated to England in around 1900. At immigration their names were recorded as Abrahams, although it is likely to be a variation of this name. Does anyone have any information which might help me trace my family? We know that they were saddle workers and they were recruited to make saddles for the Boer War effort. Any information yu have would be much appreciated. My email address is larraine.hunter@talk21.com. My name is Tamar Haran and I'm doing a root travel to Romania next week with my father. His father came from Pitra Neamtz and his mother from Bucharest. The family name was Hershkovitz but some of his uncles from father side had the name Shterling. They needed to change their names in order to escape at WW2. His grandfather name was Shmuel and his wife Tzvia. Therefore, my father is not sure what is the original name so we can find them. As for his mother, we have found an obituary notice of her mother (my father's grandmother) that says her name was Katz, but originally Kascuta. And all these years he was certain that they are Ratz. Mina Ratz. Maybe you are connected to someone from the community that can help us find their roots in those places?